Small mountain village in the province of Avellino, Ospedaletto d'Alpinolo tied its history to the events of the nearby Abbey of Montevergine. Initially known as "Casale delle Fontanelle" (Home of Fountains), it then assumed the name of "Santa Maria del Casale of Preposito" and, finally, the name of "Casale dell'Ospedale di Montevergine", due to the presence here of the Hospital of St. Thomas , a sort of hostel where normally the pilgrims (like the Emperor Federico II) rested before tackling the ascent of the mountain to reach the Sanctuary. In the XIX century, the town became for the production of a traditional nougat "Copeta", made with local products such as hazelnuts and chestnuts. 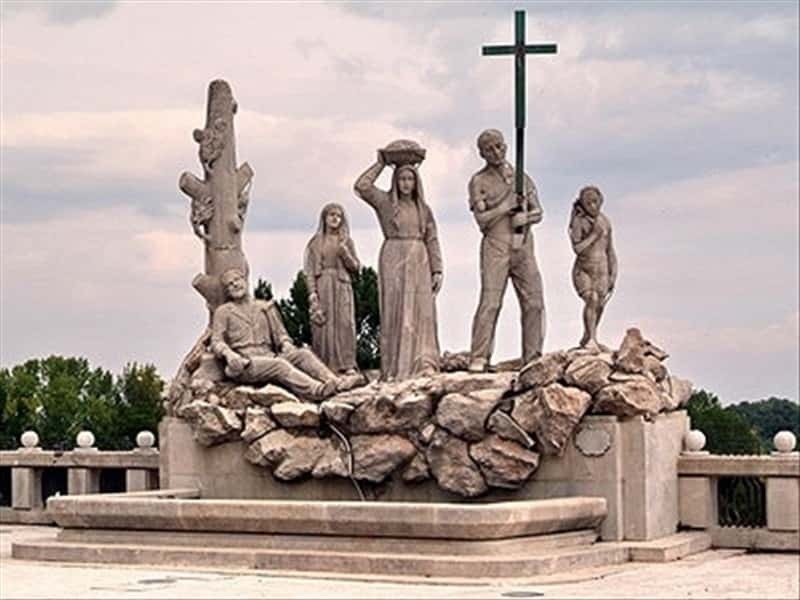 - the Monument to the Pilgrim. This town web page has been visited 17,580 times.